Safe for Soaps and Lotions. Caramel Coffee candle fragrance oil is a blend of Caramel and Mac Apple. Safe for Soaps and Lotions. Caramel Corn candle fragrance oil is a blend of Caramel and Mac Apple. Cherry Almond Candle Fragrance is a blend of our Cherry and Almond. Cinnamon Apple Candle Fragrance Oil, Safe for Soaps and Lotions. Safe for Soaps and Lotions. An aromatic blend of warm cinnamon bark and spicy clove bud are rounded off with smooth vanilla nuances creating a cozy fragrance accord. 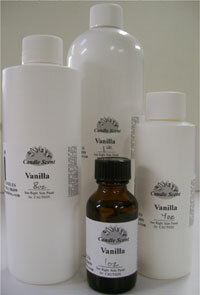 Clove Leaf essential oil Safe for Soaps and Lotions. Safe for Soaps and Lotions. Flash Point >200F Shredded coconut flakes accentuate a rich creamy accord blended with sugared vanilla & Tonka bean, creating a tropical island bliss.